Adderall is a prescription medication prescribed most commonly for ADHD and ADD. Unfortunately, it is also commonly abused by young people and students. Recreational use of this medication can quickly become a dangerous addiction. Treatment is often needed to recover from addiction to Adderall. Adderall is a stimulant containing amphetamine. The Drug Enforcement Association (DEA) lists this medication as a Schedule II controlled drug. According to the drug scheduling system, Adderall is considered a “drug, substance or chemical with a high potential for abuse…in the same category as cocaine, methamphetamine and Oxycontin.” Addiction to Adderall generally occurs due to taking the drug for an extended length of time and taking large doses of the drug repeatedly. Anyone who takes the drug for extended periods of time is at risk of developing a tolerance, meaning more of the drug will be need to acquire the same effects. 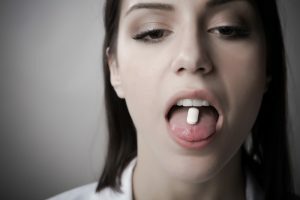 Cravings for the drug are one sign someone may be addicted to Adderall. Due to the highly addictive nature of taking Adderall, it is not recommended a person withdraw from the drug on their own. It is important to seek medical advice under a licensed doctor or therapist before seeking to stop the use of Adderall. Some of the side effects associated with Adderall withdrawal are mild to severe depression, feelings of worthlessness, anxiety, inability to concentrate, increased appetite and a desire to sleep more than usual. Coping without the use of Adderall may seem challenging at first. Depending on the length and severity of the addiction itself, it will take at least that long if not longer to rebuild one’s life, relationships and form healthy habits. Some positive effects of recovering from addiction to Adderall are an increased desire to connect with others, ability to perform better at work, more interest in social activities and sense of purpose and hope for the future. Physiologically, the body needs time to recover from the effects of Adderall. Typically the range is 2 weeks to a month for the brain to recuperate. Practicing mindfulness and conscious positive thinking will help the brain to recalibrate around a healthier mindset of living drug free. It may take time to redefine a ‘new normal’ around life without Adderall. Coping with life’s ups and downs without the help of drugs will feel challenging but gets easier as time goes by. There is help available if you or your loved one is struggling with an addiction to Adderall. Hired Power has trained professional therapists and counselors who are here to help answer any questions you may have. Contact them at 800-910-9299.